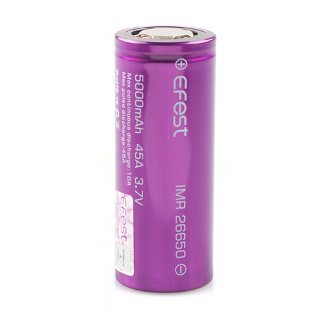 The Efest IMR 26650 5000mAh is a rechargeable battery, that is used with mods that can hold a 26650 size. It has a fantastic battery life of 5000mAH and can last for days between chargers depending on your wattage setting. They can be recharged using Efests Battery Chargers.